Jan Wraży (10 October 1943 – 7 April 2019)  was a Polish footballer. Gliwice(listen) is a city in Upper Silesia, in southern Poland. The city is located in the Silesian Highlands, on the Kłodnica river. It lies approximately 25 km West from Katowice, regional capital of the Silesian Voivodeship. ŁKS Łódź is a Polish sports club that is owned by Łódź city council. They are best known for their football club, but are represented in many sports such as basketball, volleyball, tennis, athletics and in the past ice hockey. The club is based at Stadion LKS, at Al. Unii Lubelskiej 2 in the West of Łódź. The club was founded in 1908. The football section had since been sold to private investors as the city could no longer afford to support it. After years of financial hardships, the club declared bankruptcy in May 2013. and was re-founded by a partnership between fans and local investors in the fifth tier of the league pyramid. Gliwicki Klub Sportowy Piast Gliwice is a Polish football club based in Gliwice, Poland. Ząbkovia Ząbki is a Polish professional football club, based in Ząbki, Masovian Voivodeship. The club's colors are red, white, and blue. NK.pl, formerly Nasza-klasa.pl, is a Polish school-based social networking service used by alumni and students. NK.pl is owned 70% by Forticom an IT company based in Latvia and the rest is owned by the Polish Nasza-Klasa Sp.z.o.o., Nasza-Klasa's founding company. The 2006 season of the Polish American Football League (PLFA) was the 1st season played by the major american football league in Poland. 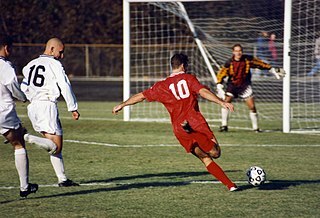 Regular season play was held from October 8 to November 5, 2006. The Polish champion title was eventually won by the Warsaw Eagles when they defeated the Pomorze Seahawks; the Polish Bowl championship game, at Marymont stadium in Warsaw, Masovian Voivodeship on November 12. The Zagłębie Steelers are an American football team in Będzin, Zagłębie Dąbrowskie, Poland. They play in the Polish American Football League. Janusz Pekowski is a Polish football player and coach. Władysław Jan Żmuda is a Polish football player and coach. 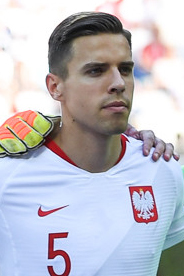 Jan Kacper Bednarek is a Polish professional footballer who plays as a centre back for Premier League club Southampton and the Poland national team. The 2014–15 Ukrainian Cup is the 24th annual season of Ukraine's football knockout competition. The decision on a schedule of competitions for clubs of the First and Second League and amateur leagues composition was confirmed on 23 July 2014 at a session of Central Council of the Professional Football League of Ukraine. The 2015 season of the Polish American Football League the 10th season played by the american football league in Poland. This is the first time in league history that a foreign team has joined one of the leagues. The foreign team is from Kaliningrad, Russia. The 2013 season of the Polish American Football League was the eighth season played by the american football leagues in Poland. Andrzej Sebastian Duda is a Polish politician who serves as the sixth and current President of Poland, holding the office since 6 August 2015. Before his tenure as President, Duda was a member of Polish Lower House (Sejm) from 2011 to 2014 and the European Parliament from 2014 to 2015. The 2013 season of the Polish American Football League was the ninth season played by the american football leagues in Poland. The 2015–16 Ekstraklasa was the 82nd season of the highest level of football leagues in Poland since its establishment in 1927. A total of 16 teams were participating, 14 of which competed in the league during the 2014–15 season, while the remaining two were promoted from the I Liga. Each team played a total of 37 matches, half at home and half away. The 2016–17 Ukrainian Cup is the 26th annual season of Ukraine's football knockout competition. The decision on a schedule of competitions for clubs from the First and Second League in the composition will be confirmed by Central Council of the Professional Football League of Ukraine and the competition will start on 20 July 2016. The 2017–18 Ukrainian Cup was the 27th annual season of Ukraine's football knockout competition. The competition was planned to be started on 9 July 2017 and concluded on 9 May 2018. The 2018–19 Ukrainian Cup is the 28th annual season of Ukraine's football knockout competition. The competition started on 18 July 2018 and is planned to be concluded on 15 May 2019. ↑ "Były reprezentant nie żyje. 219 razy zagrał w Ekstraklasie". sport.interia.pl. Barreaud, Marc (1998). Dictionnaire des footballeurs étrangers du championnat professionnel français (1932-1997). L'Harmattan, Paris. 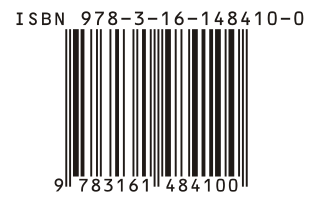 ISBN 2-7384-6608-7. This biographical article related to a Polish association football midfielder is a stub. You can help Wikipedia by expanding it.